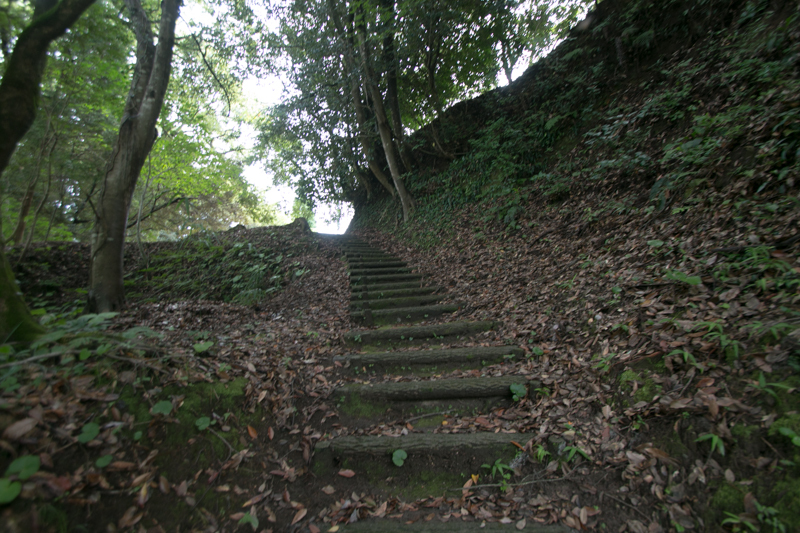 Ichiuji castle (一宇治城) is located at Shiroyama hill which is about 70 meter high from hillside, at the curving point of Kaminokawa river in the center of Hioki city. Kanimokawa river runs across Satsuma peninsula from just behind of Kagoshima city toward Eastern China sea, and the valley of river has been used as a route from northwestern part of province such as Izumi area or Satsuma Sendai area to Kagoshima city and south part of the province. 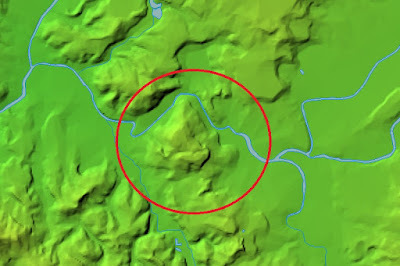 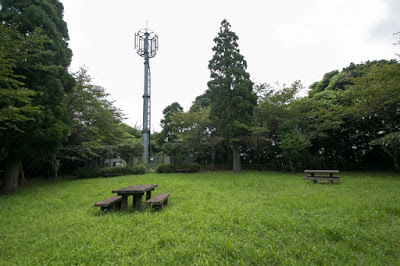 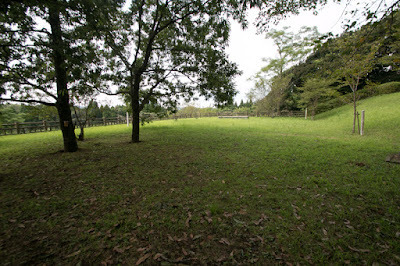 Ijyuin area where Ichiuji castle is at the center of Satsuma province (western half of Kagoshima prefecture), and an important place of communication. 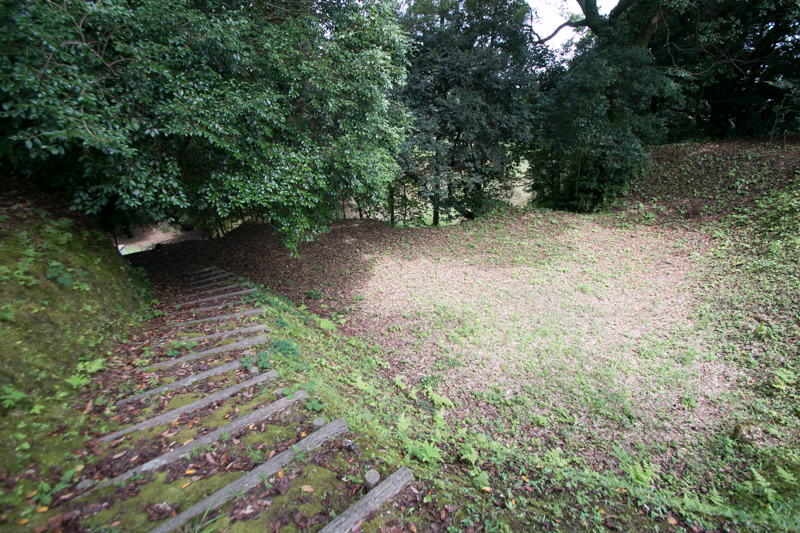 Precise year is unknown but Ichiuji castle was built by local lord Ijyuin clan around 12th century. 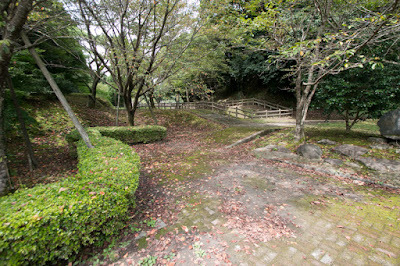 Ijyuin clan was said as a descendant of Tsurayuki Kino (866?-945?). 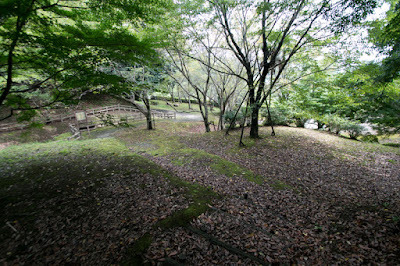 a famous Japanese Poem artist in ancient era. 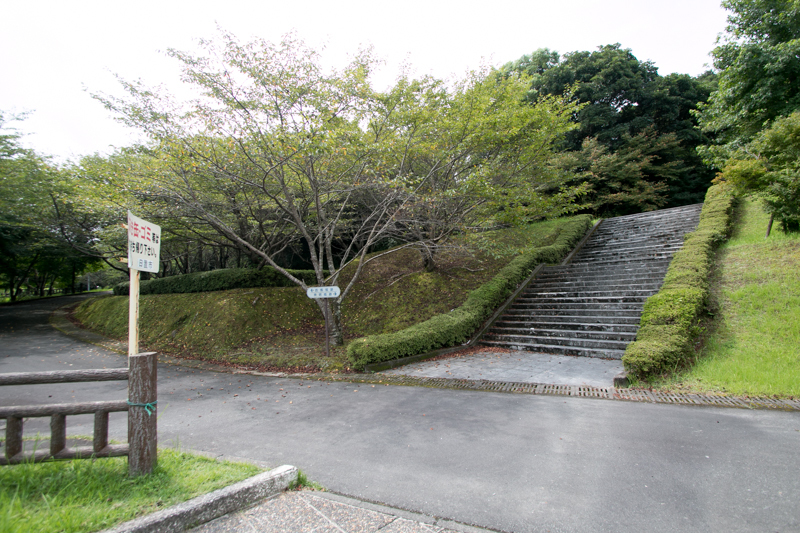 When Shimazu clan was appointed as a governor of Satsuma province in 13th century, Shimazu clan sent their relative to Ijyuin area and this family newly named as Ijyuin clan. Ijyuin clan bravely fought at the invasion of Chinese Yuan dynasty and Korean Koryo kingdom in 1274 and 1281, and achieved reputation. During Nanbokucho era, when two house of Imperial Household, it mean north house supported by Muromachi Shogunate established by Takauji Ashikaga (1305-1358) and south house lead by Emperor Godaigo (1288-1339), conflicted, main family of Shimazu clan belonged to Muromachi Shogunate but Ijyuin clan supported other side. 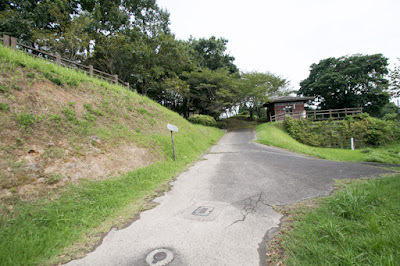 But when Shimazu family became hostile against Ryosyun Imagawa (1326?-1420? 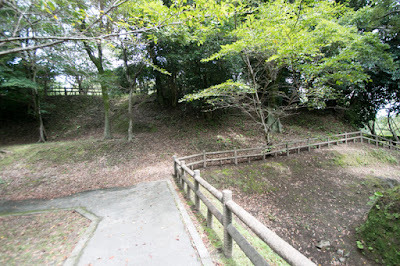 ), a large lord of Muromachi Shogunate and commander in Kyushu island, Ijyuin family supported Shimazu family and improved their status in Shimazu clan. 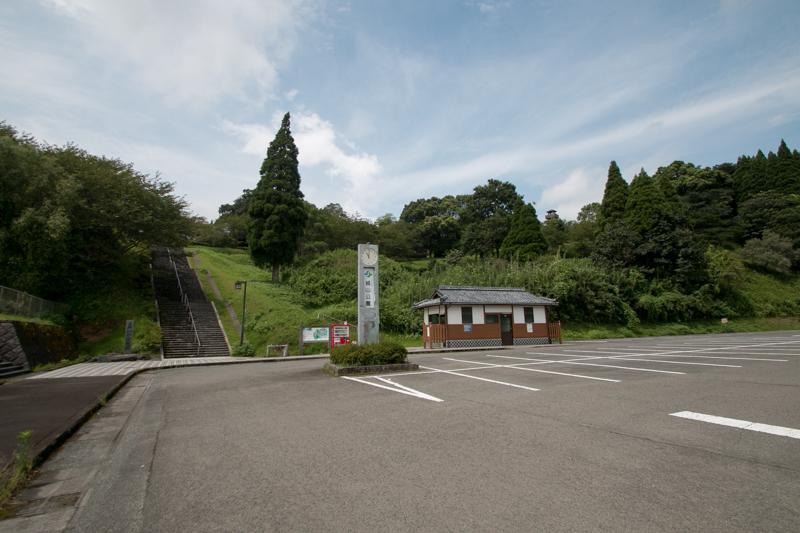 In the beginning of 15th century, Yorihisa Ijyuin rebelled to main family of Shimazu clan to place his son Hirohisa but failed. 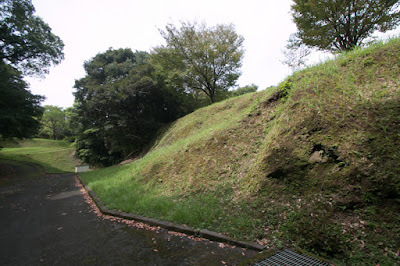 Once they made peace with Shimazu family, but later Hirohisa attempted rebellion again but was defeated by Shimazu army, then lost Ichiuji castle and exiled to Higo province. Younger brother of Hirohisa served for Izaku Shimazu clan, and later became chief retainer of Shimazu clan at the time of Tadamune Ijyuin (?-1599). 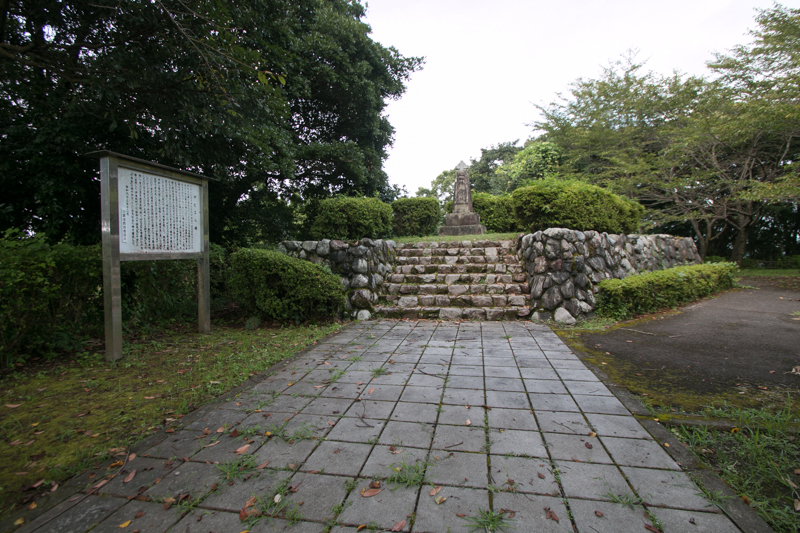 But Tadamune was killed by Shimazu family and his descendents were also purged, then finally Ijyuin clan disappeared. 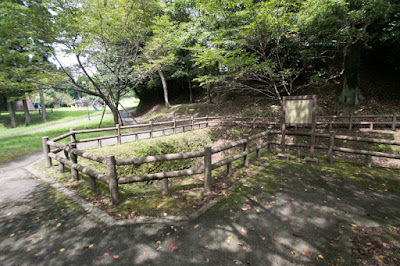 After Ijyuin clan, Shimazu main family held Ichiuji castle. 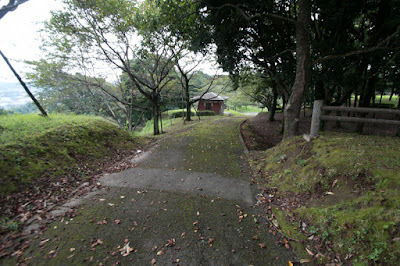 But because of continuous internal conflicts within family, main family of Shimazu clan significantly lost their power. 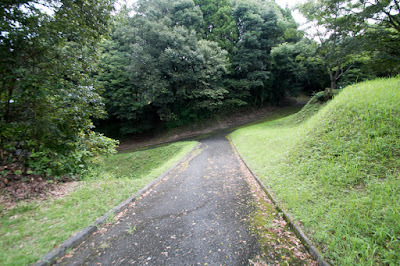 Especially in the beginning of 16th century, under short-lived leaders, Shimazu clan was controlled by its relative such as Sasshu family or other large local lords, and lost its former territory Hyuga province (Miyazaki prefecture) and Osumi province (east half of Kagoshima prefecture). 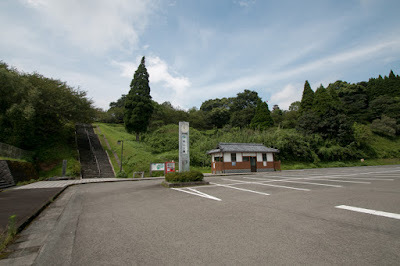 In 1526, Tadayoshi Shimazu (1492-1563), the leader of Izaku Shimazu family resided at Izaku castle, was asked to become a leader of Shimazu clan and placed his son Takahisa Shimazu (1514-1571) as an adopted son of main family. Once defeated by Sasshu house but in 1536 Tadayoshi and Takahisa broke Sasshu clan and recovered their hegemony. After a long struggle, finally Tadahisa and Takahisa united Satsuma province, and entered to Ichiuji castle as the lord of Satsuma province. Ichiuji castle was built on a steep hill of 300 meter long and 200 meter wide. 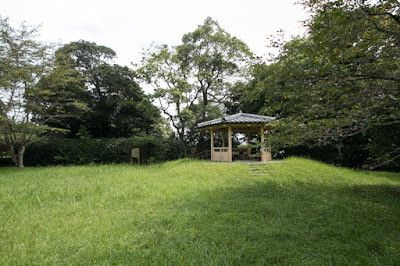 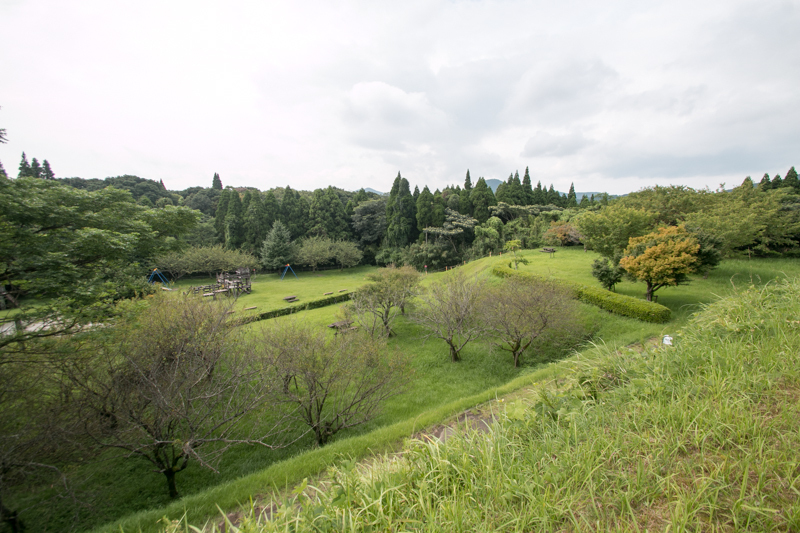 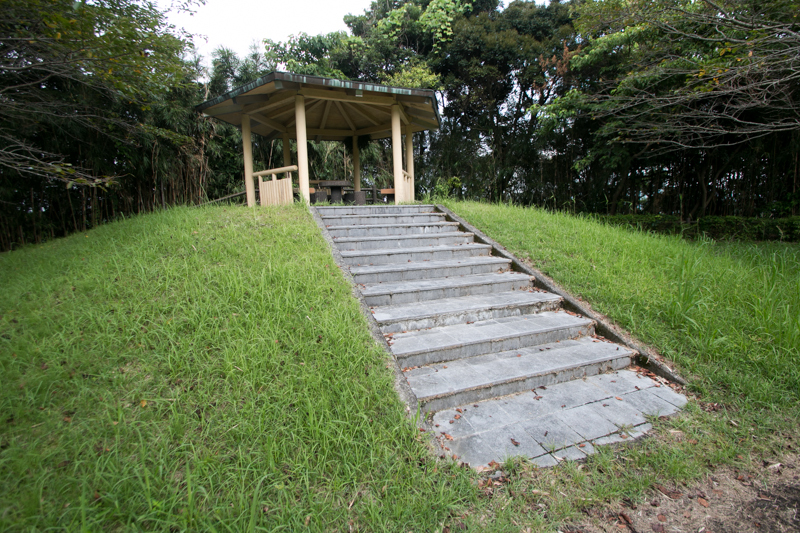 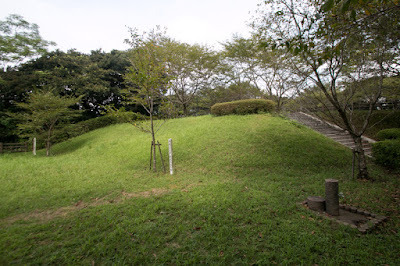 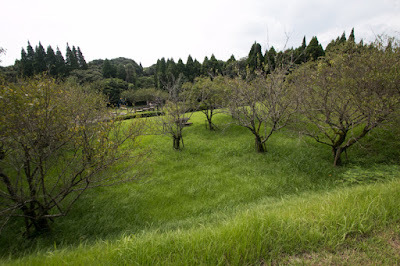 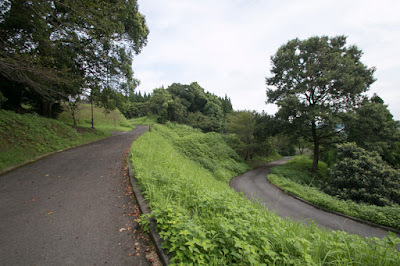 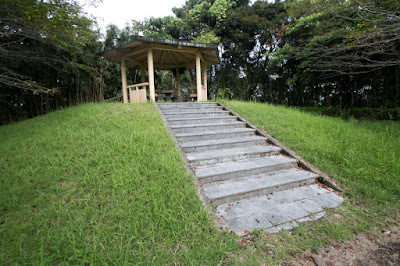 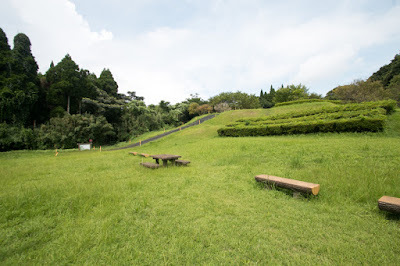 The hill consist of two peak and saddle point between them, and flat terraces as Shinmeijyo, Izakujyo, Kuraato, Nakanojyo, Tsurubejyo and Minaminojyo spread all over the hilltop area. 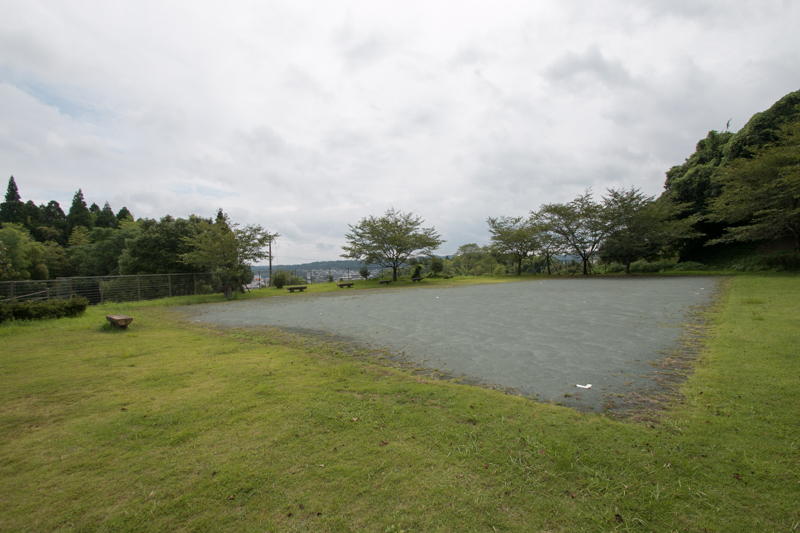 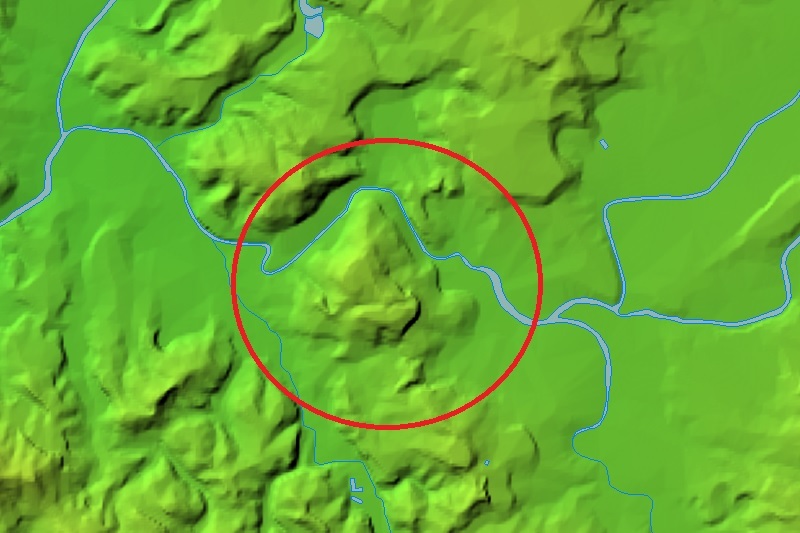 Each area might be shaped at the time of construction of park, but compared from Izaku castle they have clear shape and places under clear order, and this shows strengthened authority of Takahisa as a lord. At the time of Takahisa, Western culture arrived to Japan and this made impact to Shimazu clan. 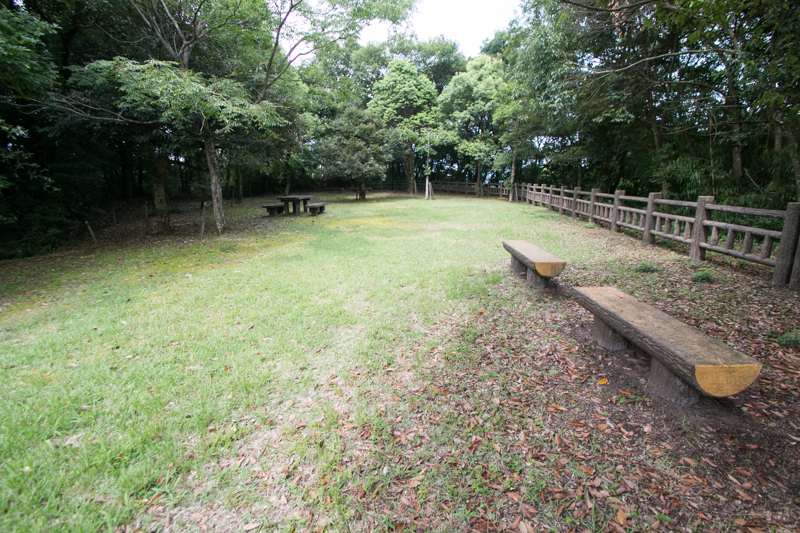 In 1543, Portuguese ship casted ashore at Tanegashima island brought matchlock gun to Japan for the first time. 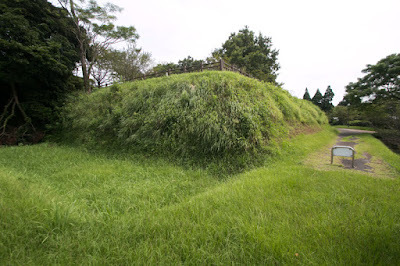 As Tanegashima clan which was the lord of Tanegashima island subordinated to Shimazu clan, they offered the gun to Shimazu clan. It is said that Shimazu clan used matchlock guns at the siege of Kajiki castle as early as in 1549. 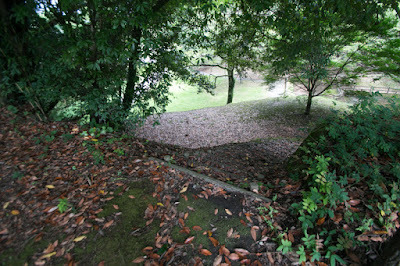 Another impact was arrival of Christianity. 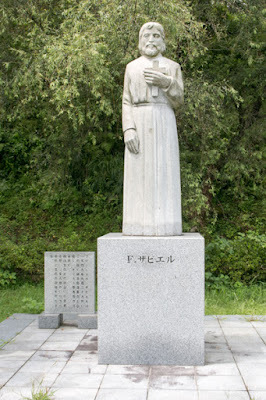 In 1549, Spanish missionary Francisco de Xavier (1506-1552) landed at Satsuma province with Christian Japanese who was born in Satsuma province, met Takahisa at Ichiuji castle and got the permission of missionary. But Christianity did not spread in Satsuma province then Xavier left Kagoshima city and headed to Kyoto city. In 1550, Takahisa moved his residence from Ichiuji castle to Uchijyo, a traditional style residence located in Kagoshima city. 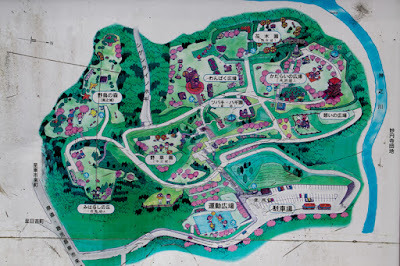 This shows Satsuma province turned from wartime to normal status, and also Takahisa born at branch family of Shimazu clan formerly established leader position. 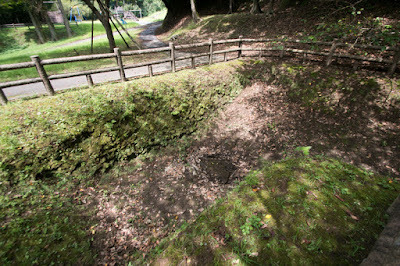 But toward the earnest desire of recovering Osumi province and Hyuga province, Takahisa continued fighting. Takahisa had brilliant four sons it mean Yoshihisa Shimazu (1533-1611), Yoshihiro Shimazu (1535-1619), Toshihisa Shimazu (1533-1592) and Iehisa Shimazu (1547-1587). 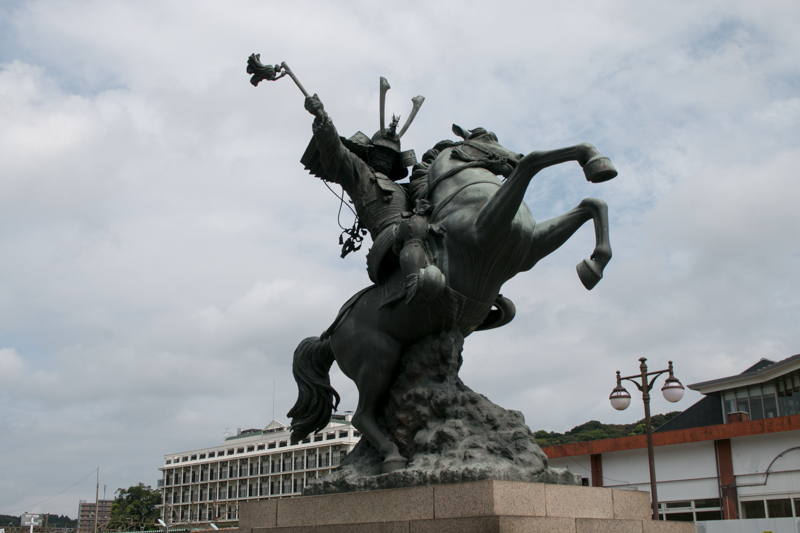 Their grandfather Tadayoshi Shimazu evaluated as "Yoshihisa naturally has a virtue as a lord of three provinces, and Yoshihisa is prominent at braveness and commanding. 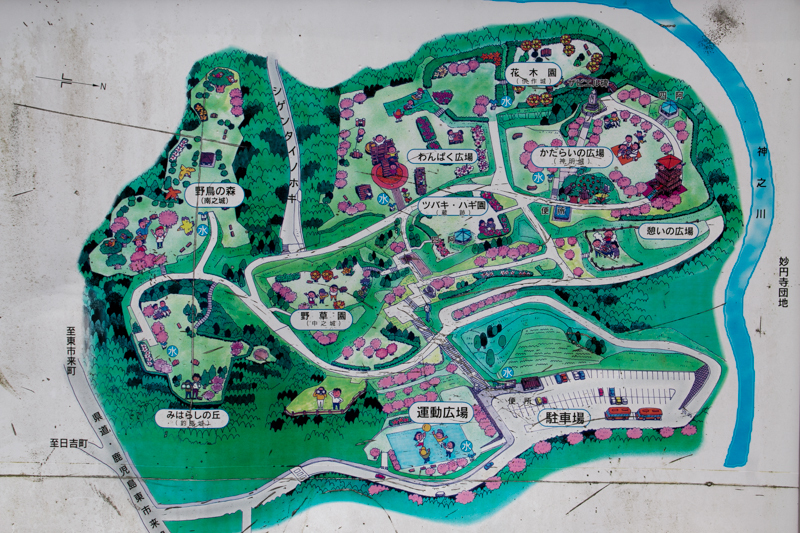 Toshihisa has a good intelligence and excellent at judgment considering everything, and Iehisa has a good sense of strategy and tactics". 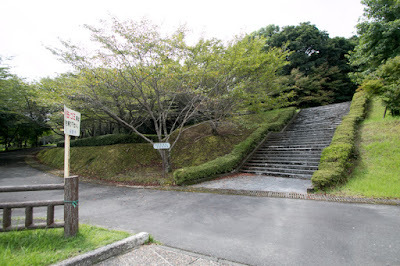 Even though uniting Satsuma province, it is not a large province then Shimazu clan still only had small army. Beside, fearing rise of Shimazu clan, surrounding lords such as Sagara clan at Hitoyoshi castle, Ito clan of Hyuga province seized Obi castle from Shimazu clan, and Kimotsuki clan held Osumi province cooperatively suppressed Shimazu clan. In response to this encirclement, Takahisa tried to break it by individual attack. At first Shimazu army attacked Kimotsuki clan which was the lord of Kouyama castle. During continuous battle Takahisa lost his younger brother Tadamasa Shimazu (1520-1561), and Takahisa himself also died in ill in 1571. 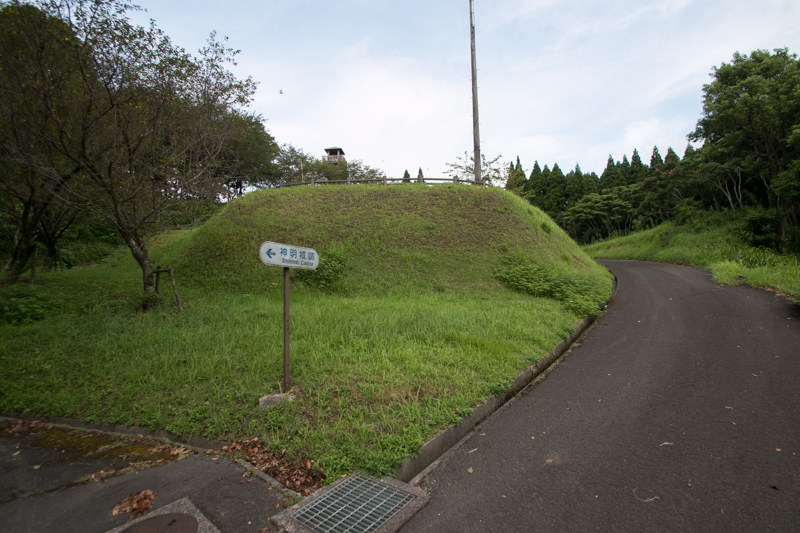 But nest leader Yoshihisa Shimazu forced Kimotsuki clan to follow to Shimazu clan. At the same time, Shimazu clan faced the pressure of Ito clan, which was virtually the governor of Hyuga province and seized Obi castle and prosperous Aburatsu port from Shimazu clan in 1568. In 1572, just after the death of Takahisa, ally of Ito clan and Sagara clan attacked Kakuto castle held by Shimazu clan. 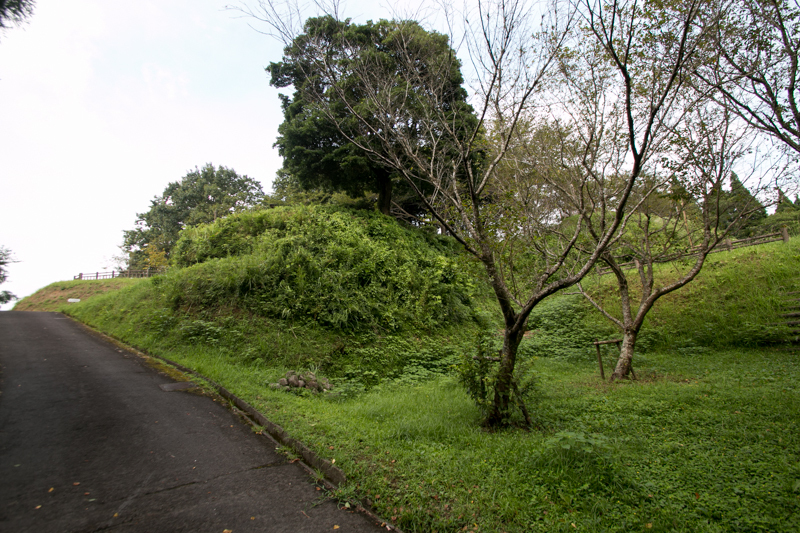 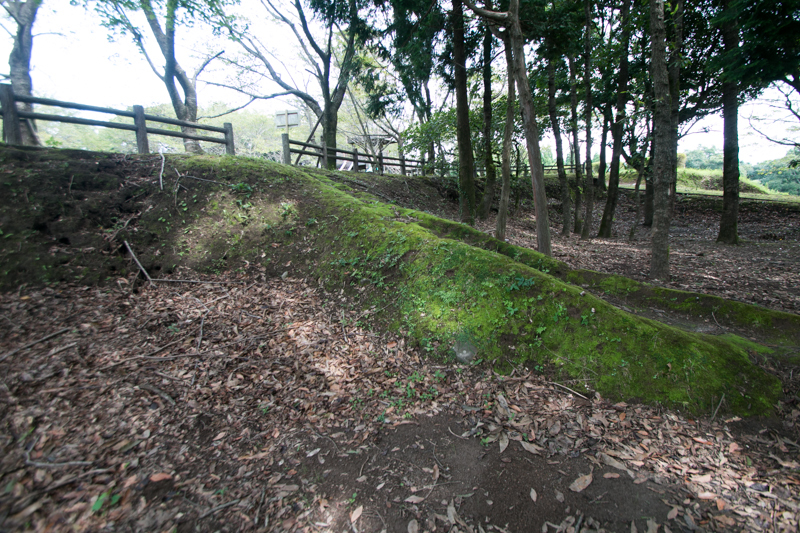 Ito army siege Kakuto castle but could not fall it, thus once retreated. Yoshihiro Shimazu, the commander of Shimazu army, attacked retreating Ito army but was pressed and retreated. 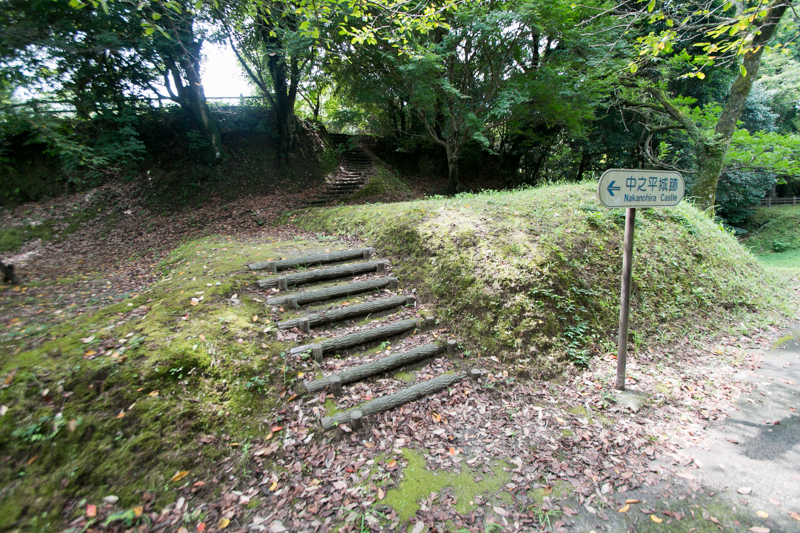 But this was the trap of Shimazu army and Ito army was picked up into the center of ambush troops of Shimazu army at the place of Kizakibaru. 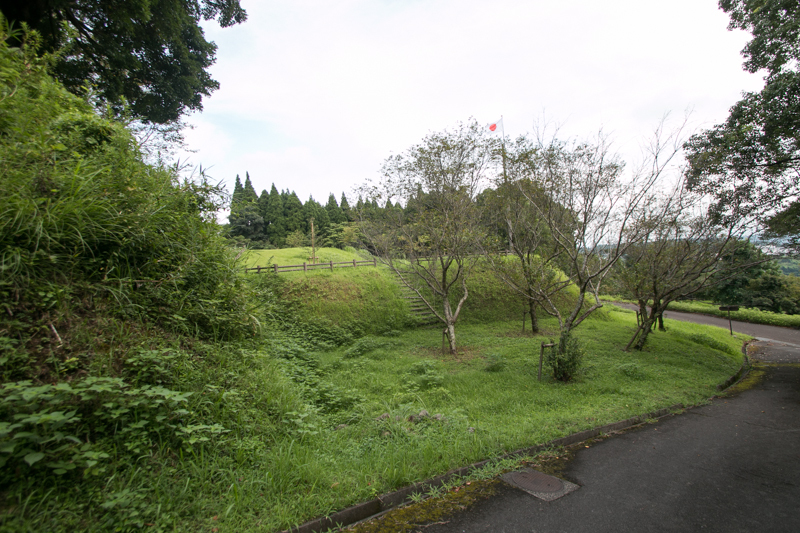 Shimazu army made sudden attack to Ito army, and Ito force taken by surprise collapsed and lost its commander and many soldiers. 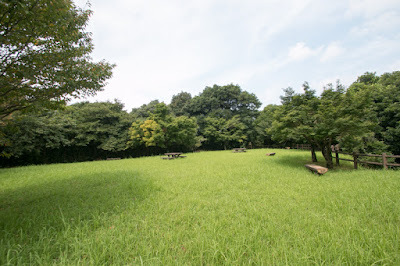 This battle is called as the battle of Kizakibaru and praised as a battle where small force beat large army along with the battle of Okehazama between Nobunaga Oda (1534-1582) and Yoshimoto Imagawa (1519-1560). Because of this defeat and inappropriate governance of leader, Ito clan easily collapsed and in 1577 Shimazu army expelled Ito clan from Hyuga province and accomplished seizure of three provinces. 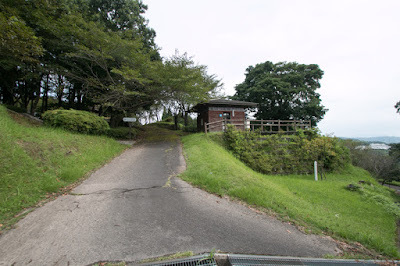 But as Ito clan escaped and asked assistance to Yoshishige Otomo (1530-1587, known as his Buddhist name Sorin), Shimazu clan rushed into the battle against Otomo clan without rest. 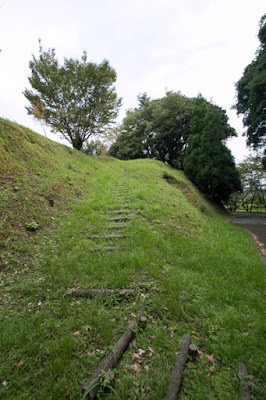 Otomo army fell Tsuchimochi clan which was the governor of Agata castle at Nobeoka city once changed to Shimazu clan, and next aimed middle part of the province. 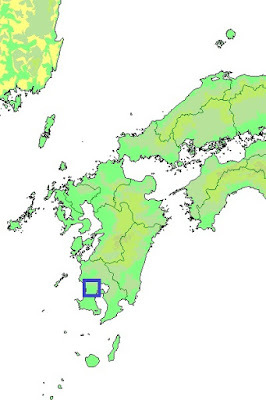 Otomo clan at that time was a strong clan which directly or indirectly held north half of Kyushu island. Otomo clan had many excellent generals, but Yoshishige totally relied on them and did not command the army directly. 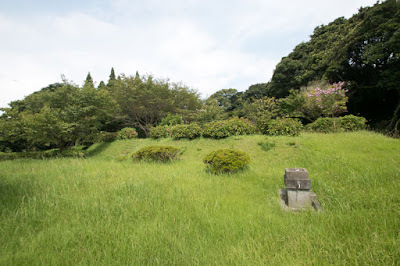 Furthermore, just before the battle Yoshishige took baptism and became Christian, and planned to build Christian kingdom at Hyuga province then broke many shrines and temples at that area. 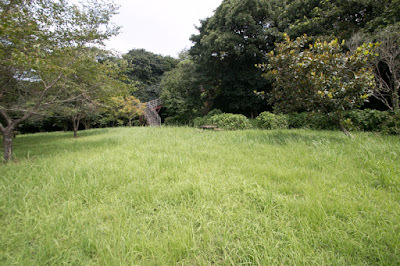 But this behavior cause a confusion between generals and soldiers of Otomo clan, and moral of expedition force decreased. In October 1578, Otomo army encircled Takajyo castle at the middle of Hyuga province, held by Iehisa Shimazu. 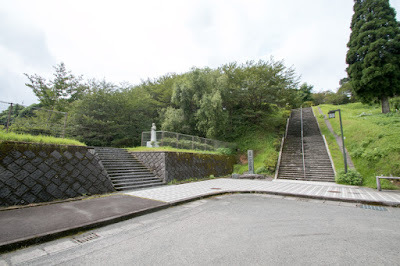 In response to this Shimazu army sent whole army lead by Yoshihisa Shimazu as an reinforcement, and both army confronted at the both side terrace of Komarugawa river. 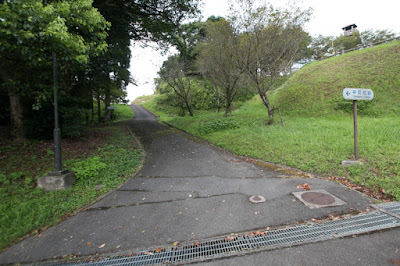 At first vanguard of Shimazu army attacked Otomo army but defeated then commander of Shimazu army died. Otomo army looked at this crossed the river and attacked Shimazu army but Shimazu army at the top of terrace securely stand it. Among the long battle, detached force of Shimazu army run down the slope into backside of Otomo army, and guardian force of Takajyo castle also attacked Otomo army from backside. 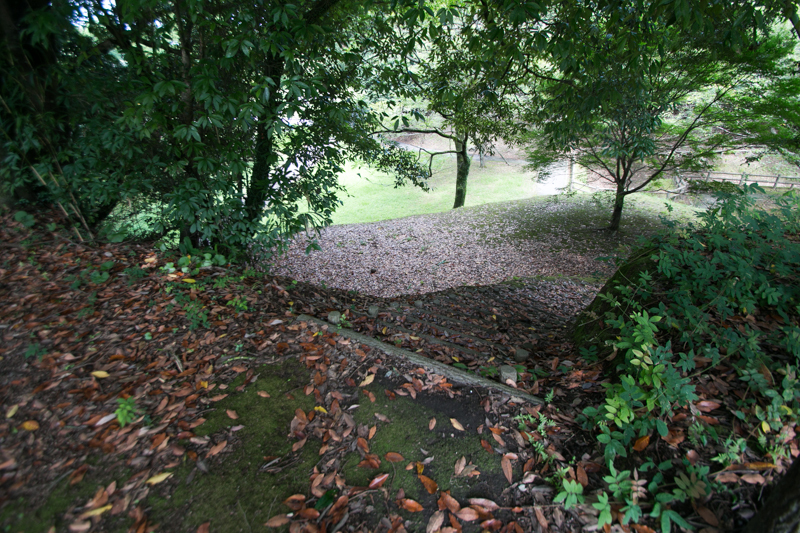 Being captured at narrow place between river side and Komarugawa river, Otomo army collapsed and run away to their nation. 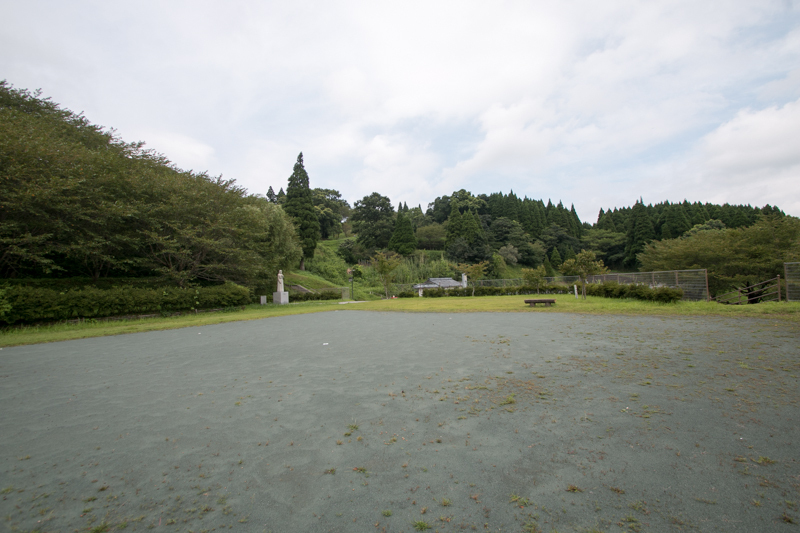 Otomo clan lost many generals and soldiers at this battle, then Shimazu clan became dominant against Otomo clan. After the defeat of Otomo clan, lords of south half of Higo province (Kumamoto prefecture) such as Sagara clan followed to Shimazu clan. 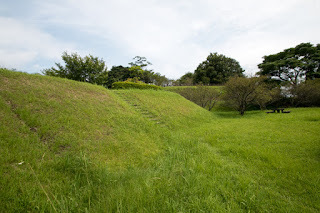 On the other hand, Takanobu Ryuzoji (1529-1584) who was the lord of Saga castle (Saga prefecture) followed Otomo clan before also left Otomo clan and rapidly expand their territory. 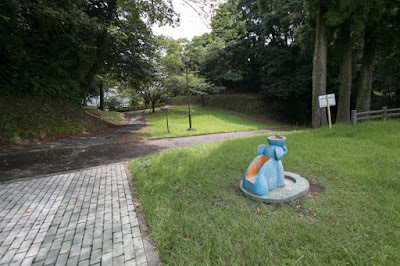 Takanobu was a brave lord praised as "the bear of Hizen". 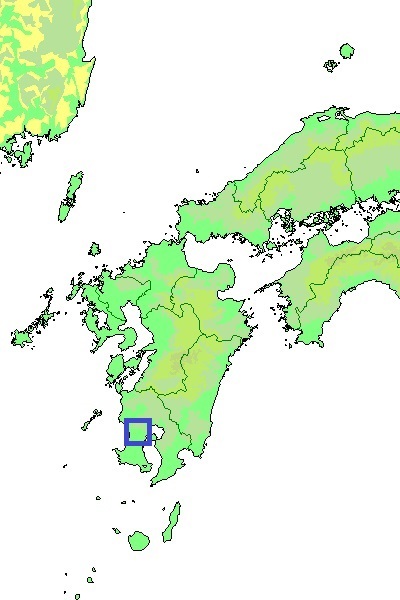 and in short time captured north western part of Kyushu island and advanced into Higo province. 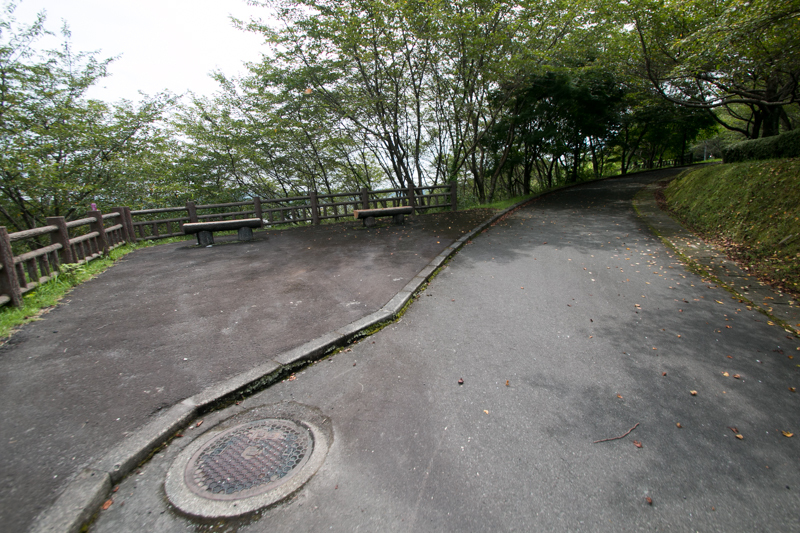 But Takanobu was also a cruel lord and purged many retainers then brought dissatisfaction among retainers. 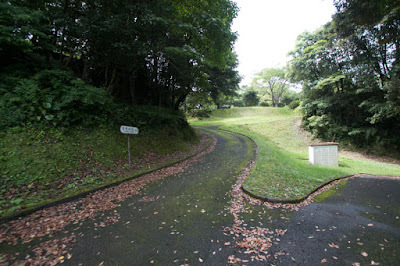 In 1584, Harunobu Arima (1567-1612), the lord of Hinoe castle (Nagasaki prefecture) and once followed to Harunobu, left Ryuzoji clan and changed to Shimazu clan. Furious Takanobu sent large army to Shimabara peninsula, then Shimazu clan this time sent Iehisa Shimazu as a reinforcement to Arima army. 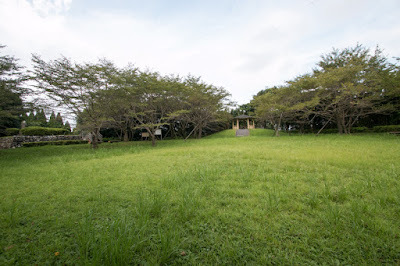 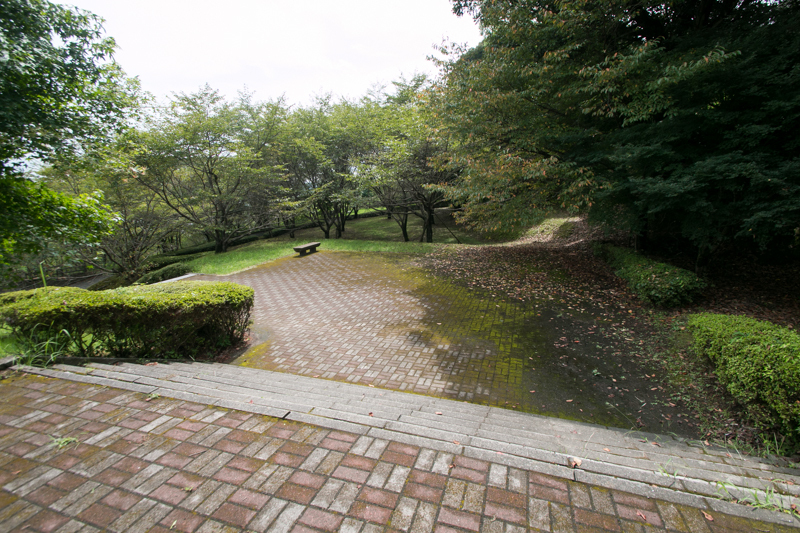 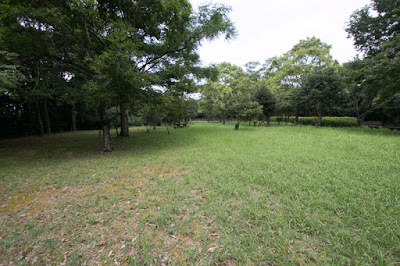 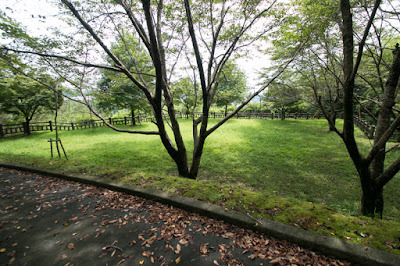 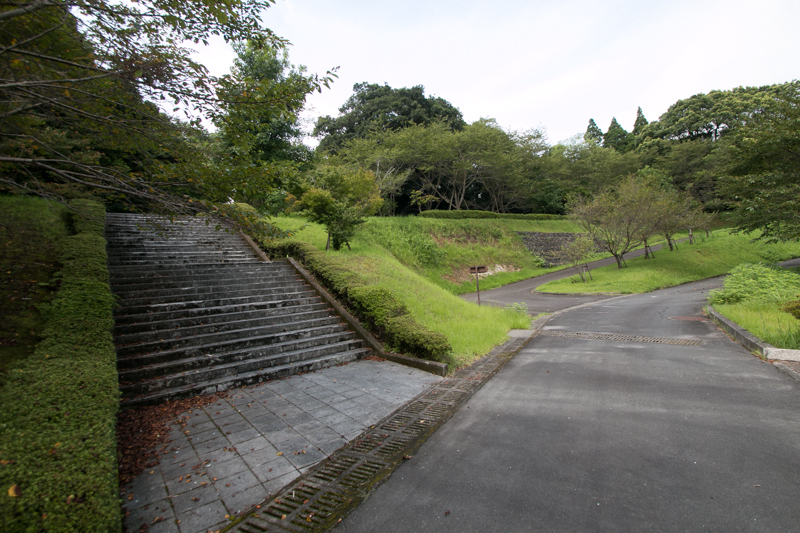 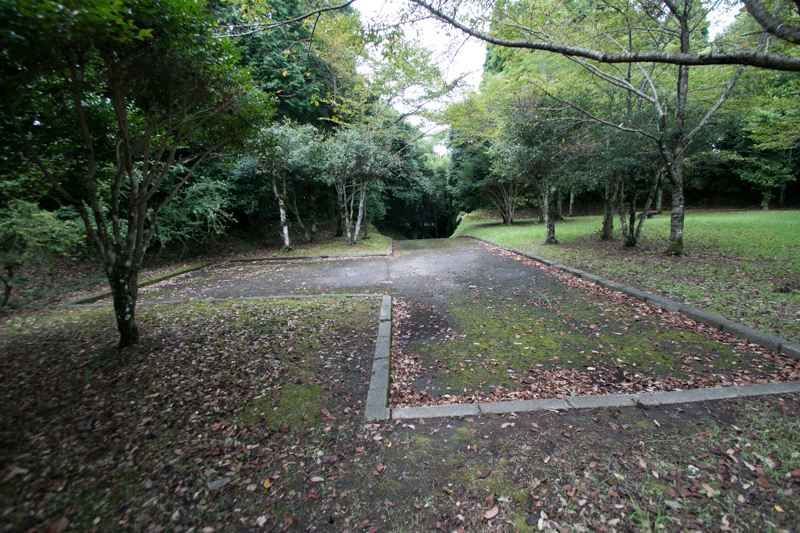 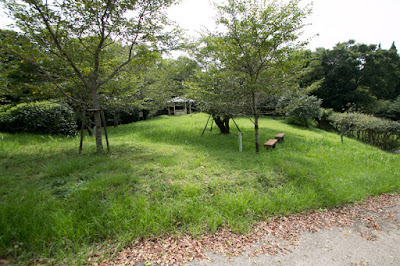 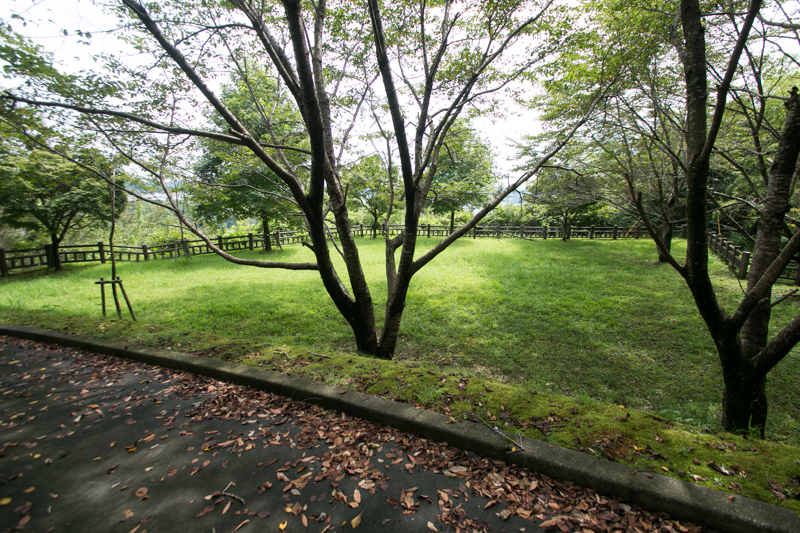 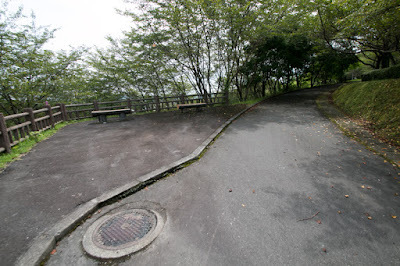 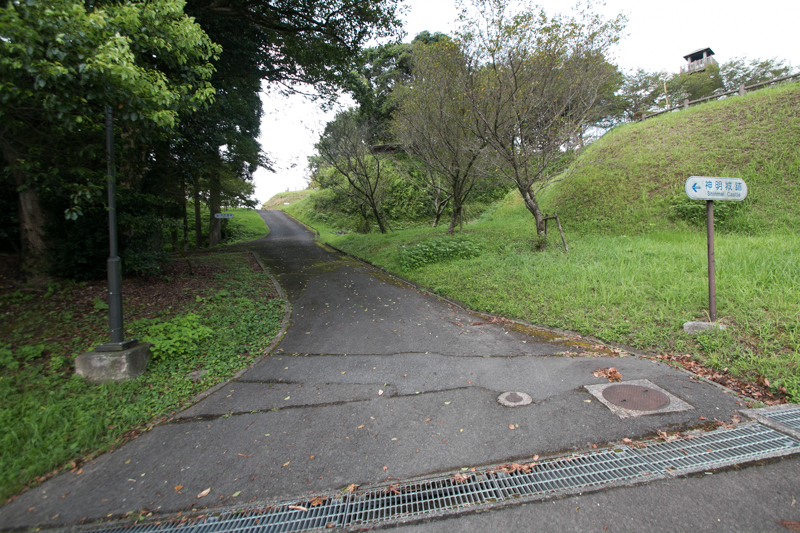 Both army faced at Okitanawate near Moritake castle, at the place of current Shimabara castle. 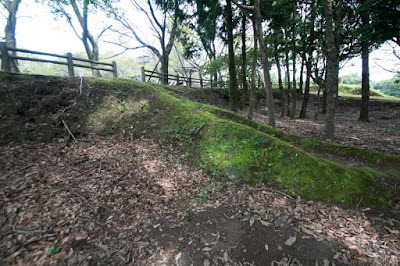 But negligent Ryuzoji army forcibly charged into muddy area and was separated, and main army of Takanobu was tricked by ambush tactics of Iehisa, protruded into the narrow road at muddy area and was isolated. 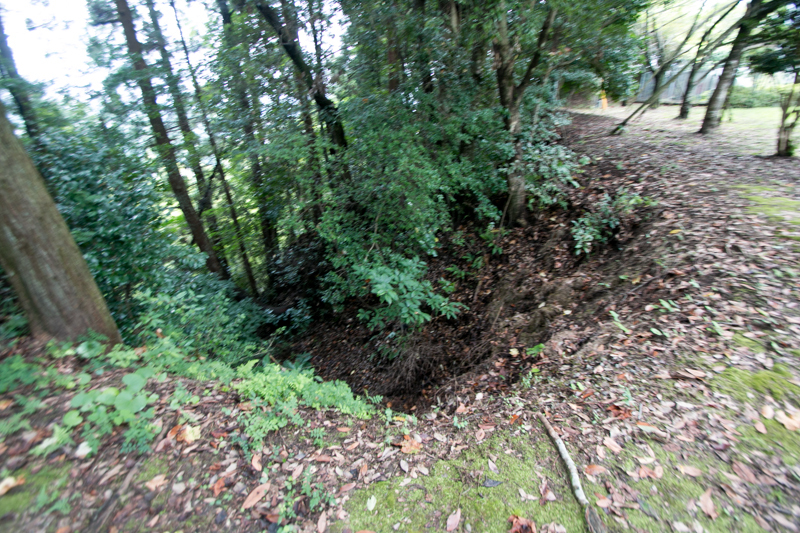 Iehisa shot Ryuzoji army could not move at the narrow path from side, then charged into collapsed Ryuzoji army. 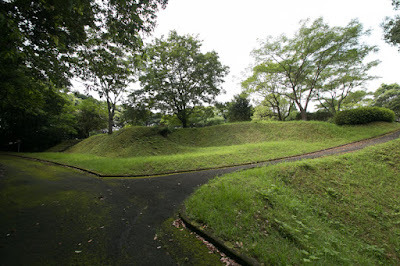 Takanobu could not escape and was killed in the battle, and hegemony of Ryuzoji clan collapsed in one day battle. 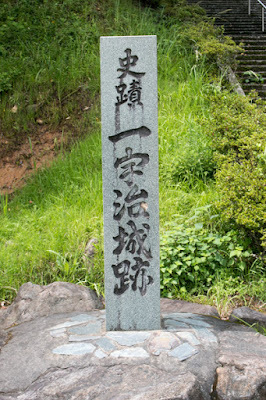 Shimazu clan which beat two strong power was close to the unification of Kyushu island. 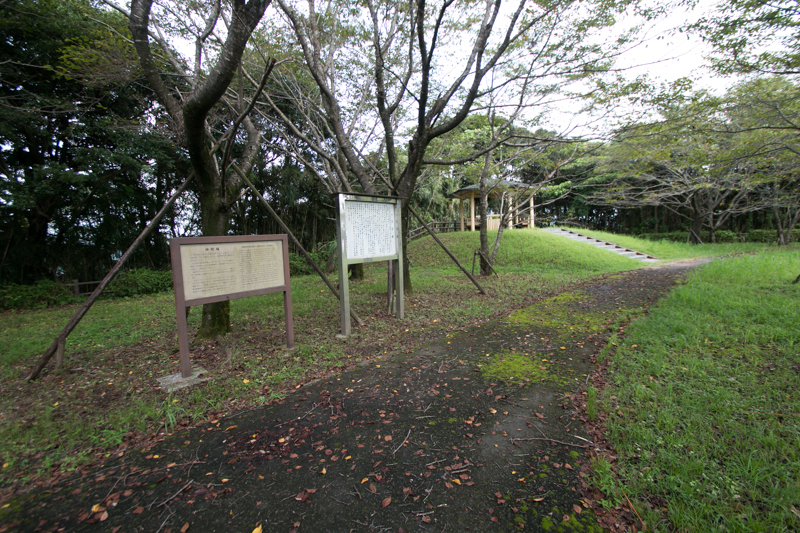 In 1585, Dosetsu Tachibana (1548-1586) who was an excellent general and continued lone struggle to keep the front of Otomo clan died in ill, and there was no obstacle for the unification of the island any more. 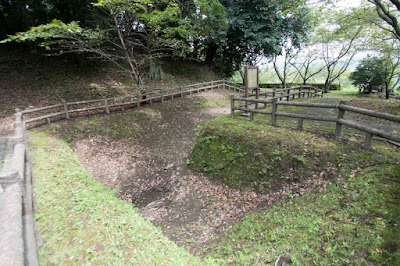 In 1586 Summer, Yoshihisa started total attack against Otomo clan both at Chikuzen province (Fukuoka prefecture) and Bungo province. 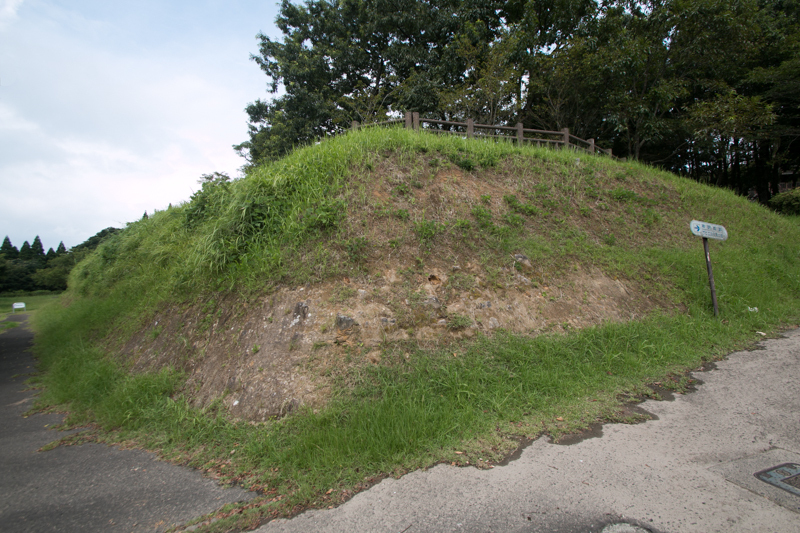 In Chikugo province, Shimazu army of 40,000 soldiers lead by Tadanaga Shimazu (1551-1560) broke Chikushi clan then attacked Iwaya castle held by Otomo clan But Jyoun Takahashi (1548-1586), firmly secured small Iwaya castle with 700 soldiers stood over half month and gave severe damage to Shimazu army. Finally Jyoun shared his fate with the castle, but soldiers and time consumed at this castle was irrecoverable for Shimazu clan. Next Shimazu army siege Tachibanaya castle guarded by Muneshige Tachibana (1567-1643), son of Jyoun and adopted son of Dosetsu Tachibana, but Muneshige also firmly secured the castle and Shimazu clan could not fell it. 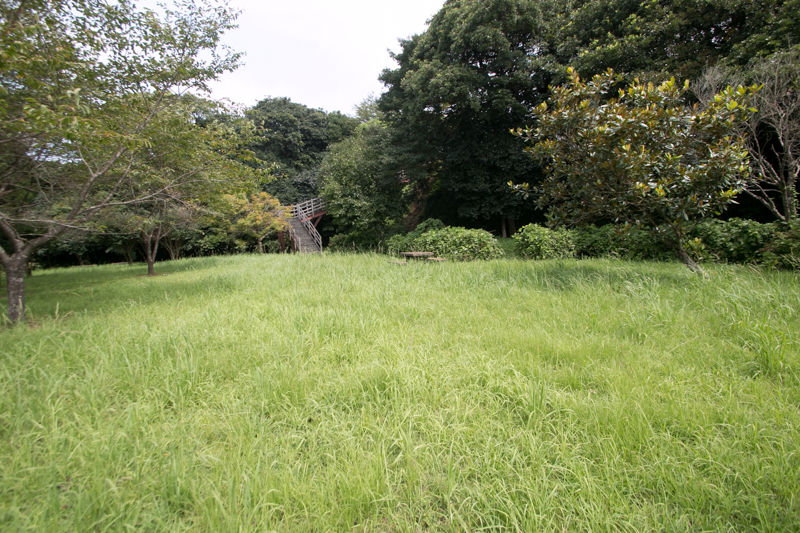 On the other hand, main force of Shimazu clan lead by Yoshihiro and Iehisa intruded into Bungo province, the main base of Otomo clan. 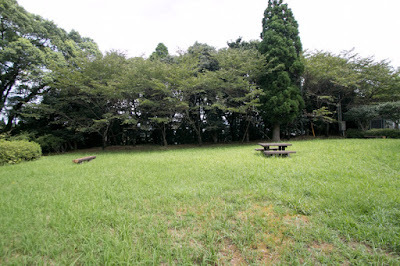 Otomo clan could not resist to the invasion of Shimazu army, and their capital Funai town was easily burnt down by Shimazu army. But Yoshishige besieged at Usuki castle rejected attack of Shimazu army by cannons imported from foreign countries, and Chikatsugu Shiga (1566-?) 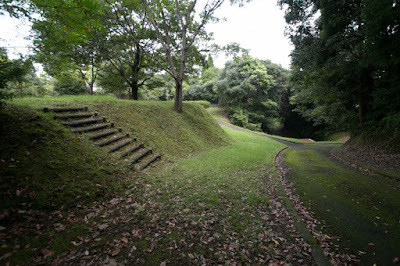 firmly kept Oka castle (Oita prefecture) and showed the pride of former strong warlord. In spite of these desperate resistance, as a general, collapse of Otomo clan was a matter of time and unification of Kyushu island was quite close after many difficulties. However, Shimazu army had cope with overwhelming authority ahead of Otomo clan. After the transfer to Uchijyo castle, Ichiuji castle was kept as a military base but abolished in the beginning of 16th century. 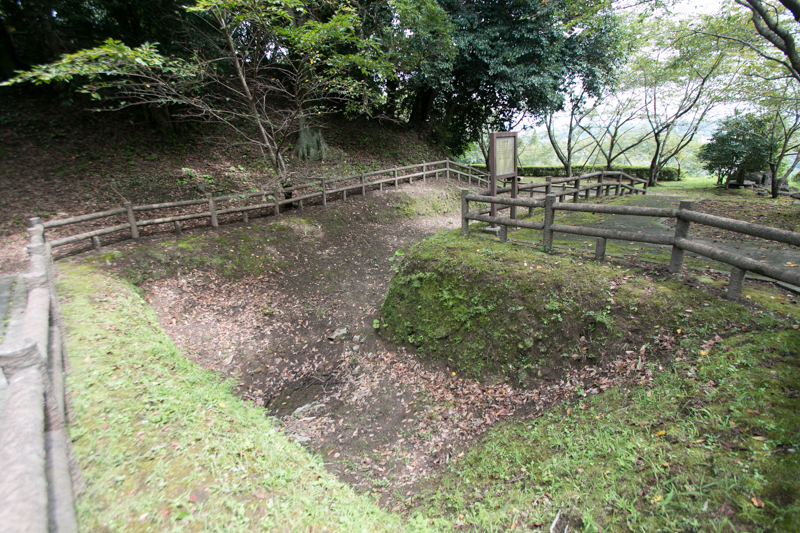 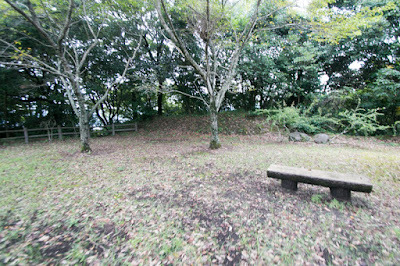 Now castle site becomes Shiroyama Park, and because of good preparation shape of the castle including ruins of well is well kept. 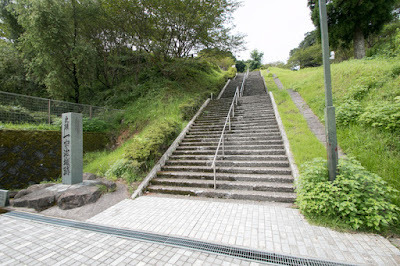 Now we can move from the castle to Fukuoka city, the north edge of Kyushu island, in one day by train or highway, but considering long time to do so even with modern transportation method, great achievement of Shimazu clan supported by four talented brothers is reminded again. 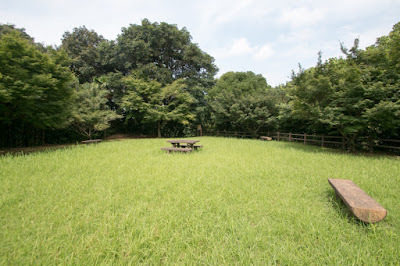 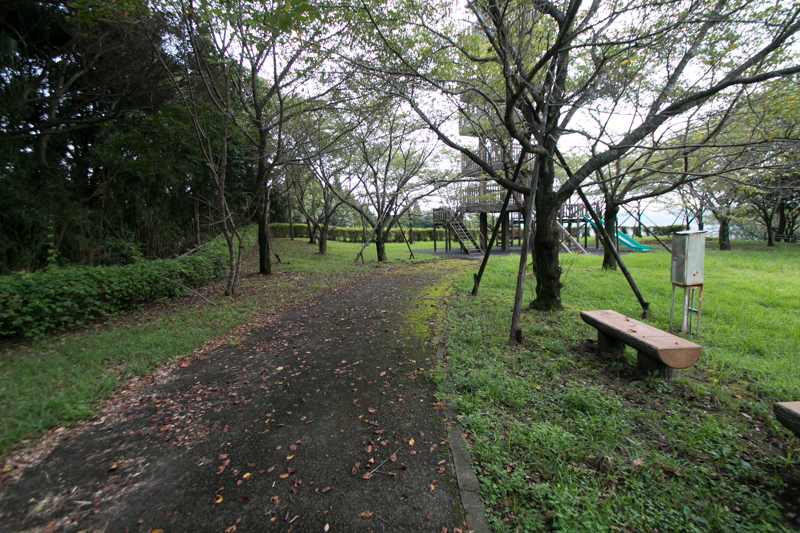 15 minutes walk from JR Kyushu Kagoshima-Honsen line Ijyuin station. 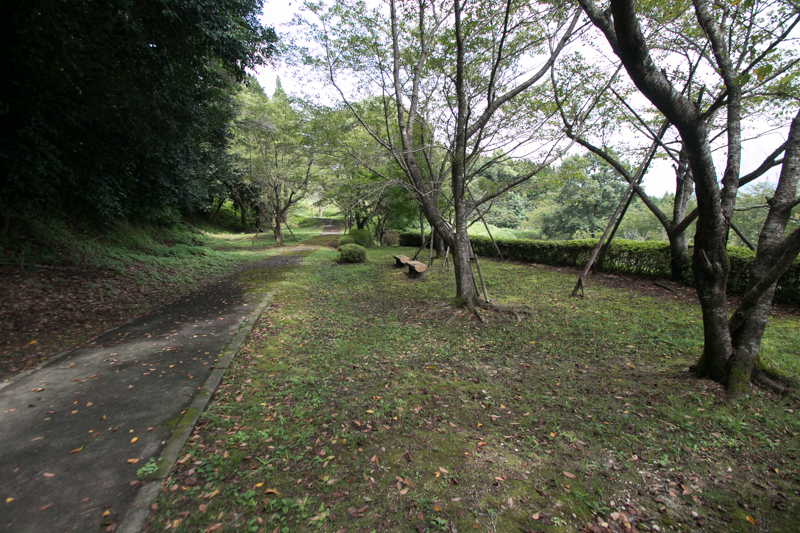 10 minutes drive from Minami-Kyushu Nishimawari Jidoshado Expressway Ijyuin interchange.